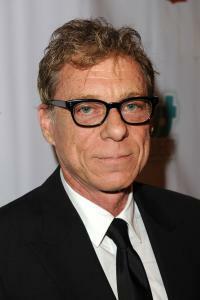 Russell Mulcahy is an Australian film/video director that was born on June 23, 1953 in Melbourne, Victoria, Australia. He is openly gay and lives with his partner in Sydney. He is known currently for his directorial work on some of MTV’s Teen Wolf series episodes. Russell uses different techniques, and his work is noticeable because of his use of fast cuts, tracking shots and glowing lights. He is one of the most famous music video directors from the 1980s. He began working television from the early 1990s. Russell was a film editor for Australia's Seven Network. He moved to the UK around 1976 and made famous music videos for many British pop acts. Some video’s include XTC's "Making Plans for Nigel" (1979), The Vapors' hit "Turning Japanese" and The Buggles' "Video Killed the Radio Star" (1979). The Buggles' "Video Killed the Radio Star" (1979) was the first music video played in 1981 on MTV. He went on to directing music videos for more famous pop-rock artist including The Human League, The Tubes, Ultravox, Duran Duran, Kim Carnes, Bonnie Tyler, Rod Stewart, Billy Joel, The Motels, Elton John, Supertramp, Spandau Ballet, and The Rolling Stones. Some movies that he is known for are Derek and Clive Get the Horn (1979), Razorback (1984), Highlander (1986), Highlander II: The Quickening (1991), Ricochet (1991), The Shadow (1994) and Tale of the Mummy (1998).